It's intimate, secluded, and fashionable. Guests come here to the All Suite Luxury Boutique Hotel to relax, rejuvenate, and go unnoticed in the midst of the Mexican Caribbean playground of Cancun. Reminiscent of a Mediterranean mansion, Casa Turquesa rests on one of the area’s most pristine beaches and features only 30 suites, providing an atmosphere of privacy and tranquility. If you've been to the large resorts and seek something different, look no further than Casa Turquesa, a luxurious all-suite boutique hotel for your vacation in Cancun. In this private Mediterranean-style hideaway, discriminating travelers including celebrities and members of the jet set welcome the seclusion and sophistication of the ocean front luxury boutique hotel. This intimate 30 all-suite hotel is upscale, artful and perfect for truly getting away from it all. In fact, many guests come back again and again because it feels like their own private home in the Mexican Caribbean. Casa Turquesa as a luxury boutique hotel features all of the amenities of a luxurious hotel including highly personalized service, all-suite accommodations, in-room minibar ($), Wi-fi connection ($), private terraces with Jacuzzis, Spa ($), lighted tennis court, magnificent art gallery and more. 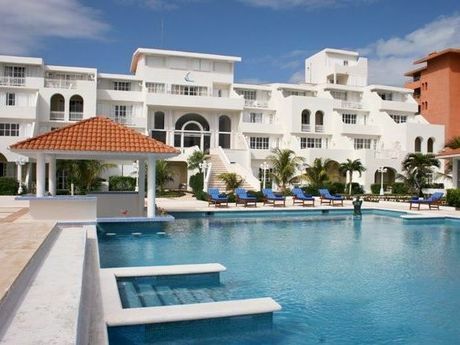 Casa Turquesa is the premier Cancun vacation destination for those looking to get away, relax and be pampered. For those who want to explore Cancun, the Concierge can assist in making arrangements for tours, water sports, and special reservations for dinner outside the hotel. There are many things to do in Cancun while staying at Casa Turquesa! You can also take advantage of the special rates for golf at nearby courses. Casa Turquesa is also the perfect venue for families to rent for a reunion, corporations to take over for an executive retreat, or to rent exclusively for a fabulous wedding in Cancun. 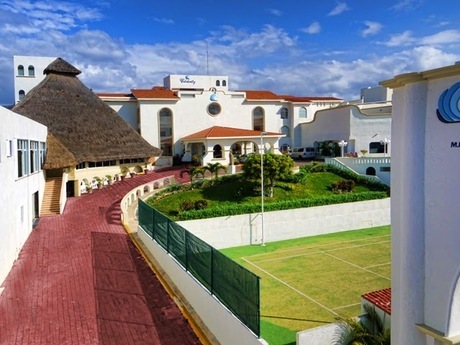 It is a unique boutique hotel in Cancun. 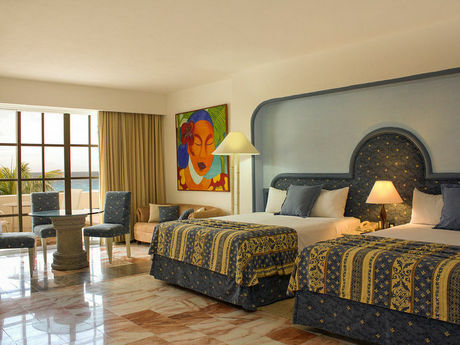 Casa Turquesa is the best Cancun lodging choice for your trip to Mexico. 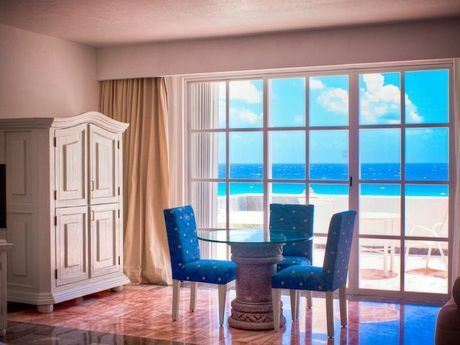 With numerous amenities for guests such as room service, beachfront, 24 hour front desk, you will wake up at Casa Turquesa feeling ready to go every day for your time in Cancun. Don’t let this amazing reservation opportunity pass you by, book your stay at Casa Turquesa today to make the most of your time in Cancun, Mexico.